With 10 days until Oscar Sunday, the Academy and Oscar producers Craig Zadan and Neil Meron have been busy announcing what fans can expect for the show. Emmy and Tony award-winning actress Kristin Chenoweth will join Entertainment Weekly Managing Editor Jess Cagle and GMA's Lara Spencer in hosting the official Oscars pre-show on ABC. Announced on "Good Morning America" on Valentine's Day the trio will be the lead-in to the Oscars. The pre-show starts at 7:00 p.m. ET/4:00 p.m. PT. Robin Roberts, a pre-show host in 2011 and 2009, will return "for a special Oscar assignment." Cagle helped host the pre-show last year, along with co-hosting in 2009 and 2010. @jesscagleew I'm so excited to announce I will be hosting the #Oscars Pre-Show Live from LA on Sunday February 24! Oscars nominees Ben Affleck, Jessica Chastain and Jennifer Lawrence were added to the presenters list Thursday. The trio joins Best Actress winners Halle Berry, Sandra Bullock, Nicole Kidman and Reese Witherspoon, all four of whom were announced presenters on Wednesday. The Academy and ABC revealed Thursday the talent lineup for their award-winning "Backstage Pass" second-screen experience, which fans can find Oscar Sunday on Oscar.com and the official Oscars app. Hosts and correspondents will include: Sherri Shepherd from "The View," television personality Cameron Mathison, Rico Rodriquez, from "Modern Family," Entertainment Weekly’s Jess Cagle and PEOPLE’s Peter Castro. The multimedia Red Carpet Digital Lounge, new this year, will be anchored by Radio Disney’s Jake Whetter, POPSUGAR’s Allison McNamara and Mashable’s Brian Anthony Hernandaz. 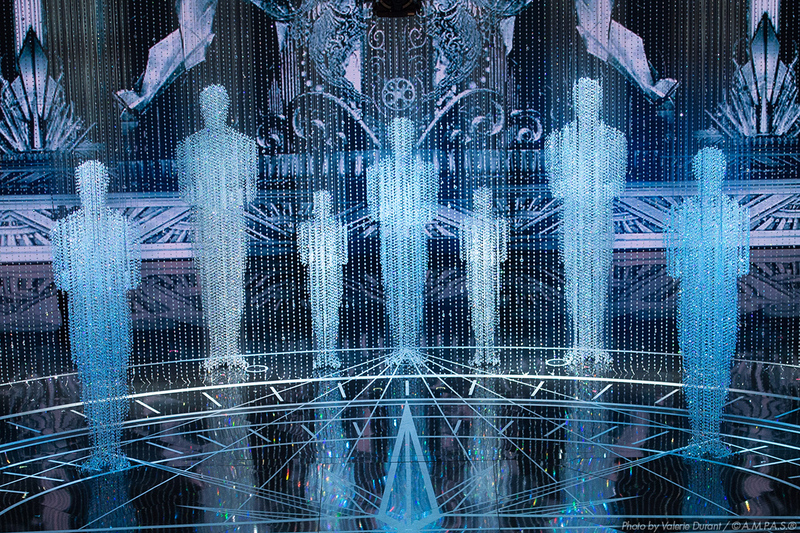 The Oscars Backstage Pass is designed to be the ultimate complement to the live telecast. With close to 20 live cameras strategically placed on the Red Carpet and throughout the backstage area of the Dolby Theatre during the telecast, fans will have insider views into the most memorable moments of the night. The Backstage Pass experience launched in 2011 to much acclaim and has been recognized with an Emmy for Creative Achievement in Interactive Arts and an Industry Star Mobile Excellence Award. It remains unprecedented in terms of live event second screen access.